The Mobile World Congress 2013 that has just been concluded, attracts mobile industry players including Telecom operators, Mobile App developers, regulators from 220 countries across the world. The event is organized by the GSM Association (GSMA) which represents the interests of mobile operators worldwide. Spanning more than 220 countries, the GSMA unites nearly 800 of the world’s mobile operators with more than 230 companies in the broader mobile ecosystem , including handset makers, software companies, equipment providers and Internet companies. We at the TechPost like following the event every year because we believe whatever happens in Barcelona directly impacts the Tech landscape here in Africa. So the TechPost team was on its toes ensuring that nothing buzzing in Barcelona passes it by — and here’s what we know. This took us by storm. 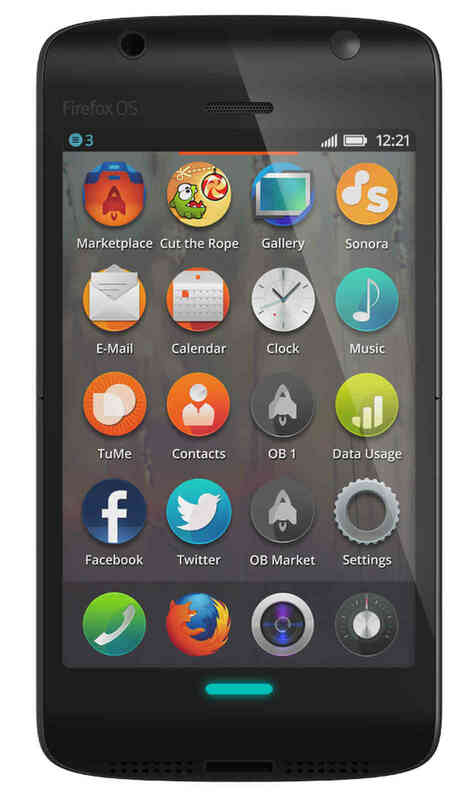 Mozilla’s Firefox OS garnered lots of attention and love from smartphone vendors and carriers alike. So far, at least 5 phone vendors including Sony, Huawei, LG and at least 17 mobile operators like Telefonica have promised to work with Mozilla to ship it’s OS on their devices and networks. But will mobile users really care? it’s about creating diversity from the existing walled garden and the existing couple of ecosystems… Diversity is the thing that creates innovation. The fact is, we don’t really know what will happen with these newcomers in the Mobile OS market. It’ll be users who will decide! Last year, Samsung’s Galaxy S2 took the show from the other smartphone contenders like Apple’s iPhone 4S and Google Nexus. Now this year, the mobile smartphone giant is back at it again with the Galaxy S3 that has once again beaten it’s rivals on the best smartphone award at the event. It’s no doubt, that Samsung’s flagship phones coupled with the latest releases of Google’s Android OSes far out-compete phones from other vendors like Apple, HTC, LG, Sony, Huawei so much so that Apple attempted to decelerate the Korean companies ascendancy to the much sought after and enviable throne through a couple of law suits. Aside the S3, Samsung Electronics also took the Best Mobile Enabled Consumer Electronics Device award with its GALAXY Camera. We expected Nokia to shine with its Nokia Lumia series of Windows Phone OS powered smartphones, but instead, Nokia shone where it has been performing best — feature phones. Most of the Finnish companies revenues continue to come from it’s feature phones that it sells to emerging markets and it’s no doubt the company is best know for the best selling phone ever — the Nokia 1100. Now the Nokia Asha 305 could be taking on the mantle having won the best feature phone award at the event. While I could give you more than 5 reasons why you should not buy the Nexus 7 tablet manufactured by Asus in partnership with Google, this tablet managed to beat newcomers like HP’s Slate7, PadFone by Asus among others. The most disappointing aspect about the Nexus 7 as Onyait Odeke, TechPost’s senior mobile editor notes, is its lack of 3G connectivity especially in markets like Uganda where public Wi-Fi hotspots are a scarce resource. But with just $199 for a solid piece of well rounded hardware, who wouldn’t want a Nexus 7. This year’s mobile world congress had its surprises especially when it comes to the rise of new mobile operating systems like Firefox OS, Ubuntu OS, Tizen and Sailfish by Jolla. Most of these operating systems will run on low-end smartphones targeted towards emerging markets like South America, Africa and Asia, the implication being increased smartphone penetration in these regions. There wasn’t much smash-hitting Smartphones this time like last year where we saw quadcore powered smartphones for the first time. However, the much awaited event on Match 14th where Samsung is expected to announce the Galaxy S4 may push the boundaries off the limits once again in smartphone innovation and hardware. What stood out for you at MWC? Tell us in the comments.